Concept: In 3D printing techniques, our machine will work with an injection system of organic material. Purpose of the proposal: Unlike 3D printing machines, our proposal aims to develop prototypes with local materials, such is the case of bamboo, which would serve to improve traditional production systems, as well as small-scale manufacturing/ construction of temporary modules/shelters. Scope: The project is still in process, so it was decided to adapt the operation of the future machine to the equipment we have in the fabs. 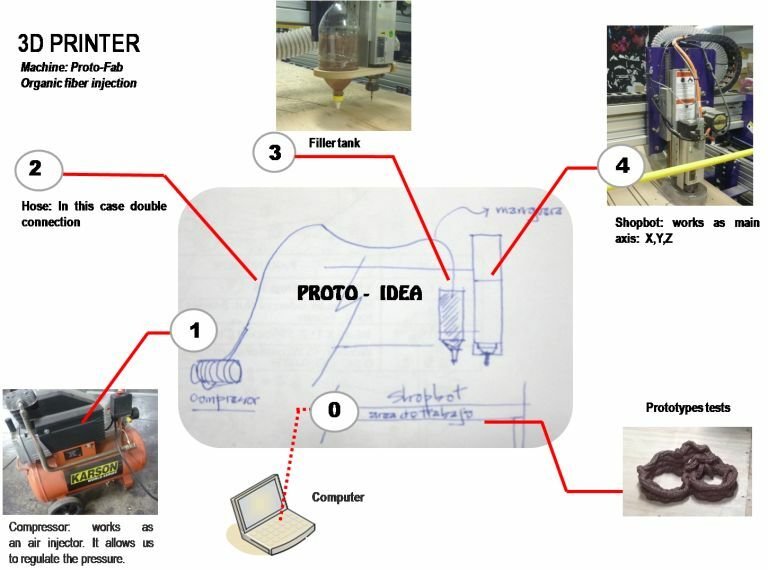 For the development of the proposal there were visualized the following topics given in the Academy: Chemistry (composites), electronic, and mechanical structure.